Many workers now spend at least an hour a day, or as much as a month a year, checking Email outside of the office. That is more time than most people spend a year on vacations! Samanage, a SaaS Enterprise Service Management company, recently conducted a survey of 1,500 U.S. workers about their Email habits. This survey focused on the impact of Email processing on the "personal lives" of workers, especially through the use of mobile devices and "after hours" checking. The researchers found that over one-third (35%) were spending at least an hour a day outside regular working hours on business-related Email. According to the survey authors, this calculates to more than 30 days of extra work a year, or a month a year! However, I believe that Samanage’s calculations are on the "low side". Their "30 days" number is based on checking Emails only 240 days a year. This 240 number is just workdays, and excludes weekends and an average of 2 weeks holiday and 2 weeks vacation time. My experience is that people who check Emails outside of work, also tend to do it on weekends, holidays, and even vacations. If I add in weekends, and all but 1 week of "offline time" a year, I come-up with a much larger 45 days! My calculation: (358 days x 1 hour = 358 hours / 8 hours per day = 45 work days). But regardless if it is 30 days or 45 days, (or 240 hours or 358 hours), bottom line is that many workers are spending huge amounts of time outside of work processing work-related Emails. You know that “always on” feeling people are always complaining about? Well, turns out that just an hour a day outside of work can consume a lot more time then you think! The survey also had some additional, interesting findings. One in five (19%) stated that they wake-up to check their work-email “very often,”. Nearly one in four (24%) check their Email “very often” during dinner. Millennials appear to be the biggest offenders in off-hour checking. Nearly one in five (19%) receive more than 100 emails a day. Men and Millennials get more Emails on mobile devices than women or baby-boomers. The higher your income, the more likely you are to receive Emails on mobile devices. So why do people do this? When asked "why" they check and respond to Emails after hours, there were a number of responses. And how does this make people feel? According to the survey respondents, they aren't very happy about all this Emailing after-hours. Nearly 20% expressed “negative feelings" towards opening their inbox outside the office. Many feel “overwhelmed” and “frustrated”. Work email is disrupting the personal lives of U.S. employees, causing workers unwanted stress and anxiety….Organizations should take this as a wakeup call that they need to be smarter about assisting employees in the management of corporate communications to avoid overload and prevent employee turnover. — Cord Silverstein - Samanage. What are the suggestions for how they would prefer to manage after-hour Emails? Have senders “flag messages" that need a response (40%). Turns out that fundamental Email Processing Strategies, such as using message flags, setting out-of-office responses, and using rules for automated routing can improve after-hours Email processing. So, bottom line is that for may business workers, Email is not just a "work" issue. 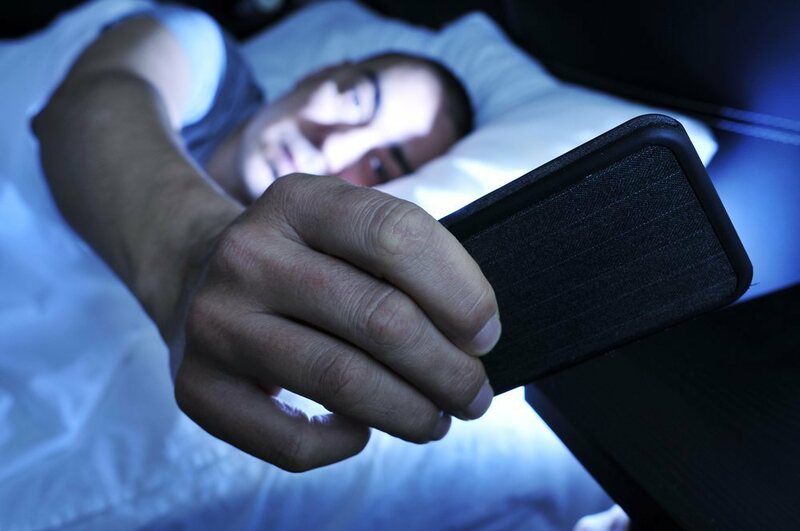 It also permeates into people's "personal lives", interrupting their sleep, dinners, personal time, and family time. And the problem seems to be greater with "millennials" then "baby boomers", which indicates that the problem is only going to increase over time. But maybe the best solution for after-hours Email processing is the simplest - just stop doing it entirely! Unless you are a doctor-on-call or in the middle of some sort of critical situation, most things don't require actions after hours. I guarantee that they will be waiting for you in the morning - when you are refreshed and able to focus and be productive. Do you check Email after-hours? If so, how often and why? Click here for tools to help you take control of your Inbox!